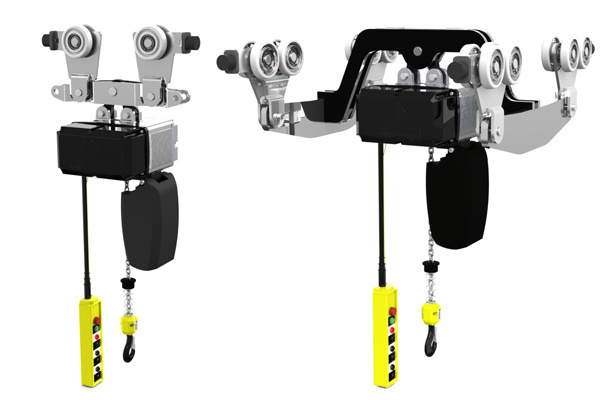 WH electric chain hoist is made in accordance with FEM/DIN (European and German Standard). Max. lifting weight: 5t, Max. 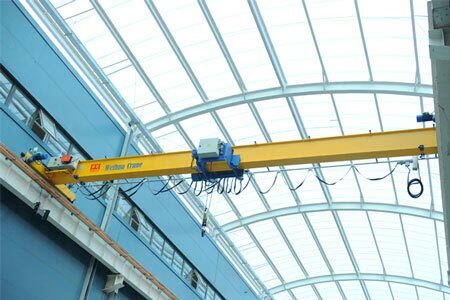 lifting height: 120m. Max. 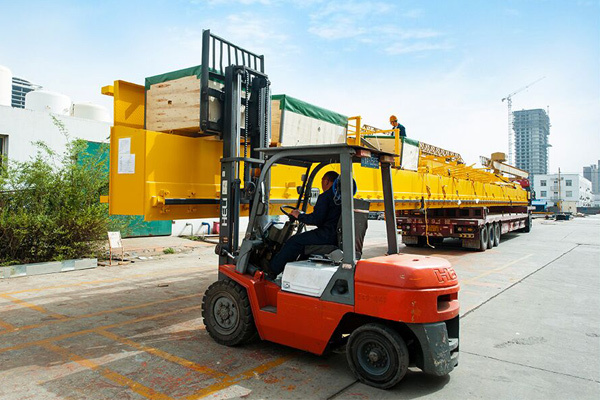 lifting speed: 16m/min or 10m/min (standard design). 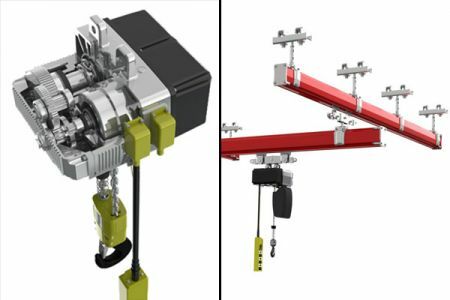 WH electric chain hoist is made in accordance with FEM/DIN (European and German Standard). Max. lifting weight: 5t, Max. 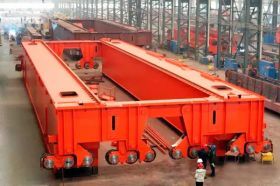 lifting height: 120m. Max. 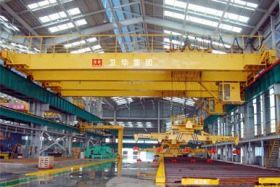 lifting speed: 16m/min or 10m/min (standard design). 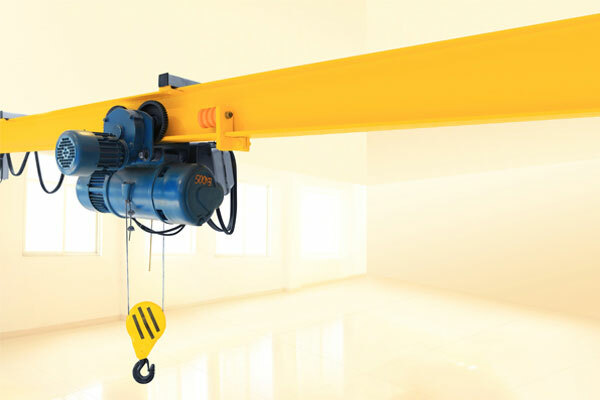 According to requirement, this hoist can manual control and electric control (dual speeds). Manual trolley with patented design and smooth running, while electric trolley is able to travel at the Max speed of 20m/min. 1. Aluminum shell, modular design with light weight, small volume, good sealing, high strength. 2. Variable and interchangeable standard parts. 3. 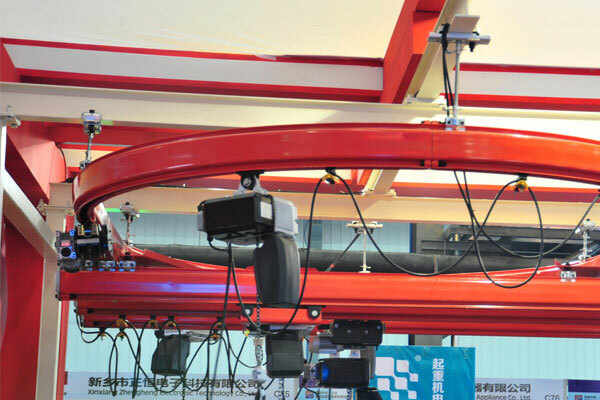 Different installation methods: Hanging handle type, hook type, manual trolley type, electric trolley type. 4. Electrical sockets adopt aluminum standard plug-in. 1. 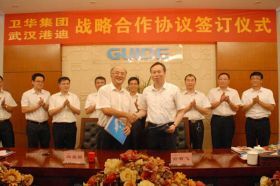 Hoist Clamp Groove to prevent falling of hoist and keep safe operation. 2. Monitoring system can fitted to this hoist to monitor running, show data of maintenance, diagnose the fault, etc. 3. Chain imported from Germany to ensure quality. 4. Safety protection system combines mechanical overload limiter, elastic torque limiter, limit switch and friction clutch to guarantee the safety of operator and hoist. 5. Control Cable is with anti-pull off wire. 6. 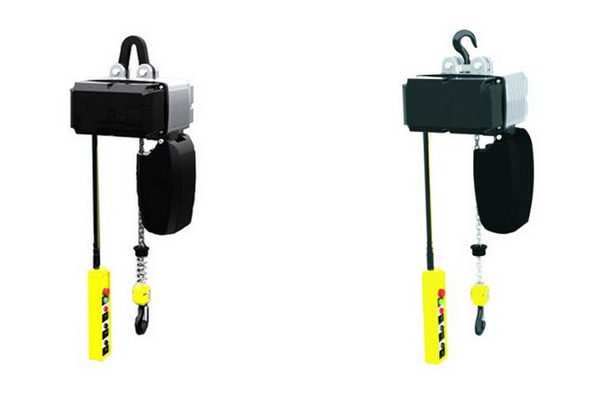 Hooks imported from Germany and in line with DIN15401 standard, with safety decoupling protection device. 1. Working temperature: -20 ~ +60℃. 2. 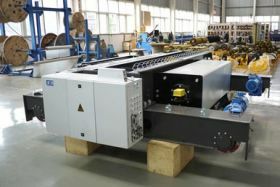 Motors imported from Germany with insulation class F5, protection IP55. 3. 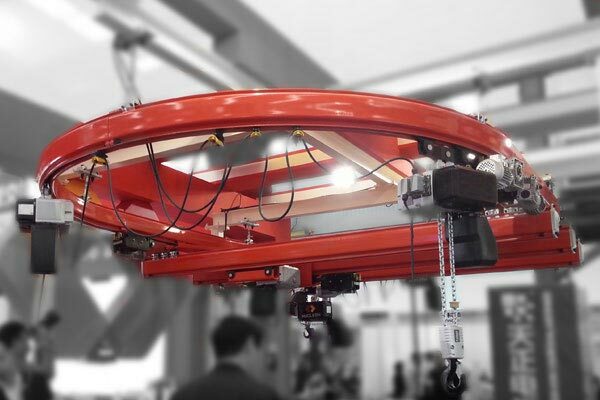 Closure electromagnetic disc type brake with more than 100 million brake times. 4. Reducer imported from Germany with hardened surface, self-lubrication and no noise. 5. 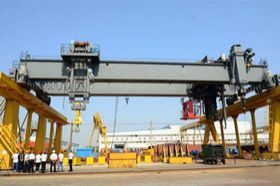 Hardened chain makes it capably work in the environment of big load, rain, sea water and chemical contacts. 1. 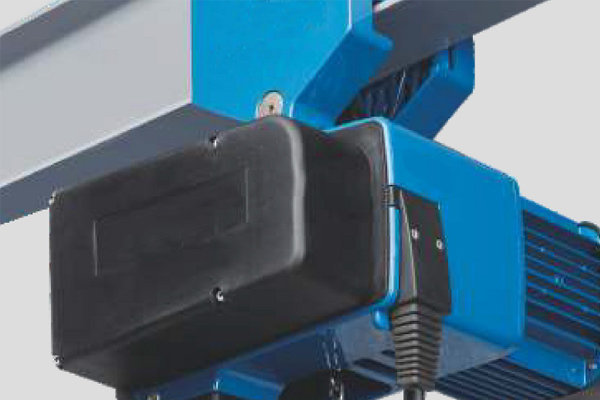 Plug-in chains, convenient to replace without detach hoists, easy maintenance. 2. Pendant emergency stop switch with simple use to ensure safety.